The Supreme Court today declined to quash criminal proceedings against Congress president Sonia Gandhi, vice-president Rahul Gandhi and five other party leaders in the National Herald case and asked them to raise all their objections and contentions in the trial court before framing of charges. A bench of Justices J S Khehar and C Nagappan said trial proceedings should continue. The judges however gave partial relief to the mother son duo by expunging “all interpretations and conclusions on factual aspect of the case and their criminal intent” made by the Delhi High Court single judge bench while dismissing their plea to quash the trial court summons. The Bench further granted them exemption from making personal appearances before the Magistrate court despite stiff objection by petitioner and BJP leader Subramanian Swamy saying this would cause "more inconvenience than convenience. There is going to be more chaos when they go to court than they not going to court”, observed the court. “when people of such prominence are there, they cannot run away”, Justice Khehar told Swamy. The court did not lent ear to argument of senior advocates Kapil Sibal and Abhishek Manu Singhvi who appeared for Sonia and Rahul that Swamy had no locus standi to file a complaint of cheating and breach of trust as only an aggrieved person could do that. Justice Khehar repeated that all these may be raised in the trial court. 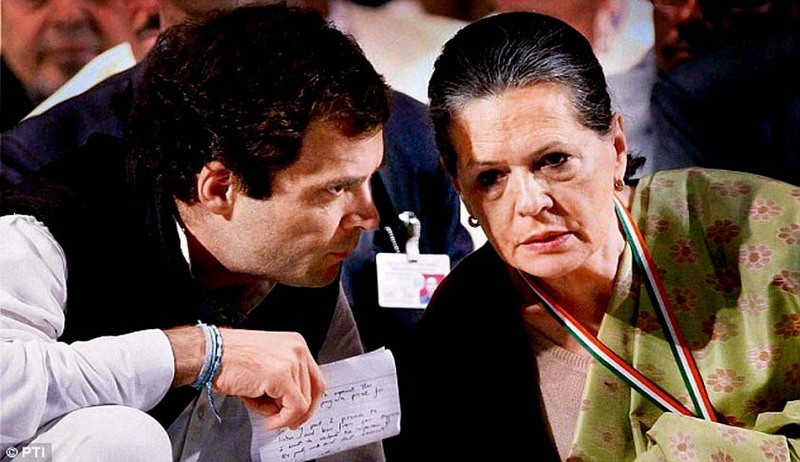 On June 26, last year, the trial court issued summons to them on Swamy's allegations of 'cheating' in the acquisition of Associated Journals Ltd (AJL) by Young India Ltd (YIL) -- a firm in which Sonia and Rahul Gandhi own 38 per cent stakes each. The appeal had raised 17 substantial questions of law for the consideration of the apex court most important of it being “whether the HC has failed to examine the questions of fact and law arising in the Petition which has resulted in manifest injustice? Whether the impugned judgment is liable to be set-aside as the Hon’ble Single Judge of the High Court has evaded the question as to what offences are alleged in the Complaint and as to whether there are grounds to proceed against the Accused, and whether the allegations in the Complaint and the material brought on record prima-facie substantiate the said accusation? “The sum and substance of the allegations levelled against petitioners cannot be brushed aside by merely saying that at best it is a case of takeover of AJL and the remedy lies in invoking the provisions of the Company Act,” the high court had said. Referring to Swamy’s complaint the HC said the transactions of the Congress with AJL via YI are not mere commercial transactions - these transactions legitimately attract the allegations of cheating, fraud, breach of trust, misappropriation, etc.